One of my recent goals has been to lose my mom-guilt. I am working on engaging in more self-care and being kinder to myself as a mom and person. Part of this process includes working on my negative self-talk using affirmations. I have found this quite helpful, so much so that I wanted to share with you some affirmations for moms that I love. Before you click away thinking "this isn't for me" or "this seems silly" STOP. Take three minutes and read these to yourself. THEN I want you to re-read them, even better to say it out-loud, and try your best to mean it. I promise, with practice, it feels less silly and more meaningful. When you wake up in the morning, before you get out of bed (or as you look in the mirror, preparing for the day) say one or more of these to yourself. 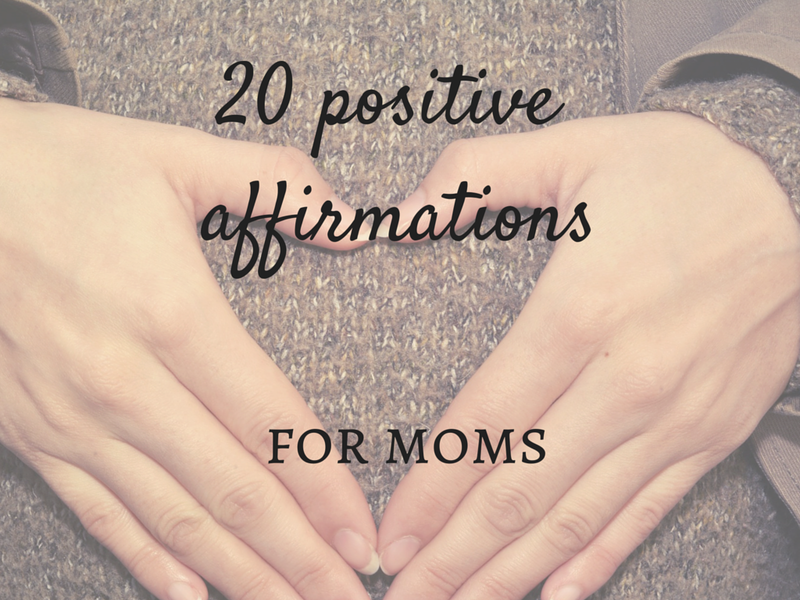 As you lay in bed at night, try using a few affirmations to validate all the mom-ing you did today. Write some affirmations on post-its and put them places you'll be sure to see them regularly (bathroom mirror, fridge etc). 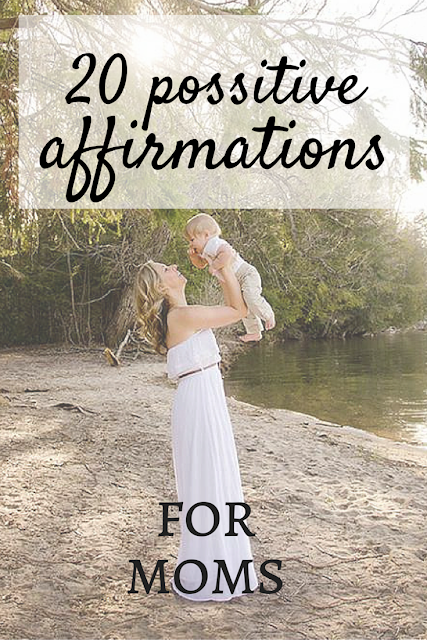 Every time you have a negative thought about yourself, read a few affirmations until that negative thought is gone (and hopefully replaced with something a lot more positive!). 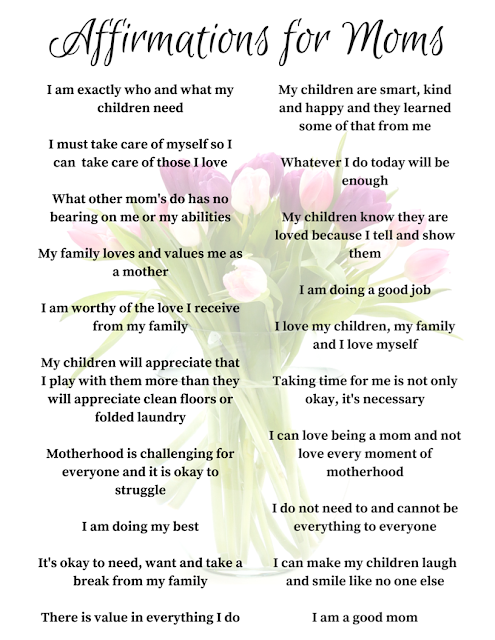 Print or write out this list and hide little affirmations around the house in places you know you will find them (your makeup bag, near your toothbrush, under your favorite coffee mug etc). Make an affirmation jar! Print the affirmations or write them out on little pieces of paper. Cut them out separately, fold them up and place them in a jar. You can use the jar so many ways: when you're feeling down on yourself, pick a few affirmations OR get the habit of picking an affirmation once or twice a day. Just enter your email and you're good to go!